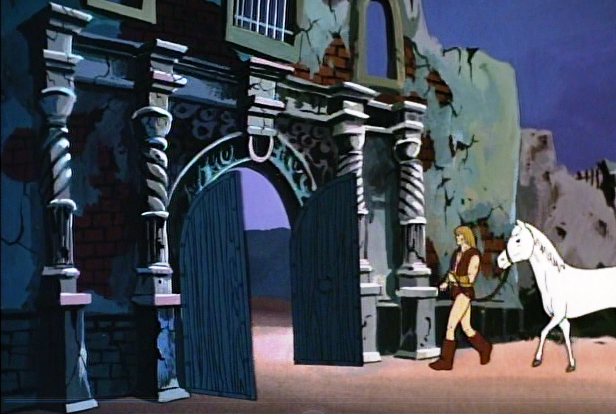 In “Portal into Time,” Thundarr, Ookla and Ariel are in the process of establishing a camp for the night when they notice ancient war machines closing on a small nearby fort: the Alamo! A group of humans are living in the pre-holocaust structure, but have been besieged by a wizard named Crom. Until now, the humans have been able to defend themselves using an ancient computer known as the Guardian, but the machine is malfunctioning and needs a new circuit-breaker. The only place -- or time -- to acquire such a device is the 20th century. 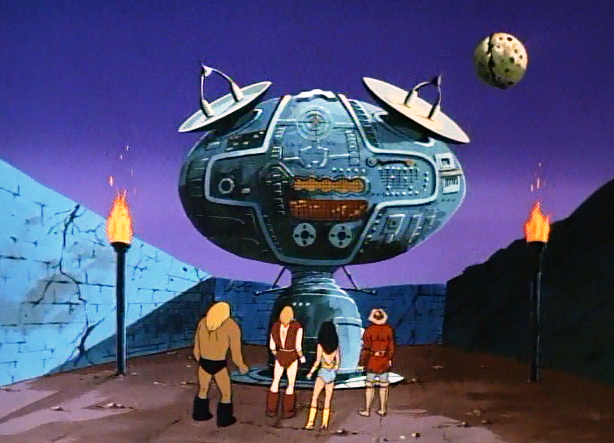 Using Crom’s time machine -- a “moon dial” – Thundarr, Ariel and Ookla travel back in time to the Guardian Computer Company. They are aided in their recovery efforts by a little girl, Samantha, who takes the trio to her house. Finally, however, it is time for the new battle of the Alamo, and Thundarr and his friends return home with the circuit breaker, so the Guardian can dispatch the villainous Crom and his minions. 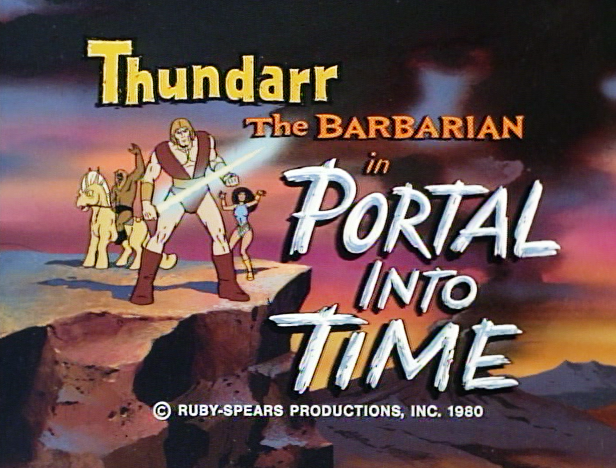 “Portal into Time” is a fun episode of Thundarr the Barbarian, and it offers some nice and welcome variations on the standard formula. Here, the three protagonists travel through time and experience the strangeness of 20th Century life. 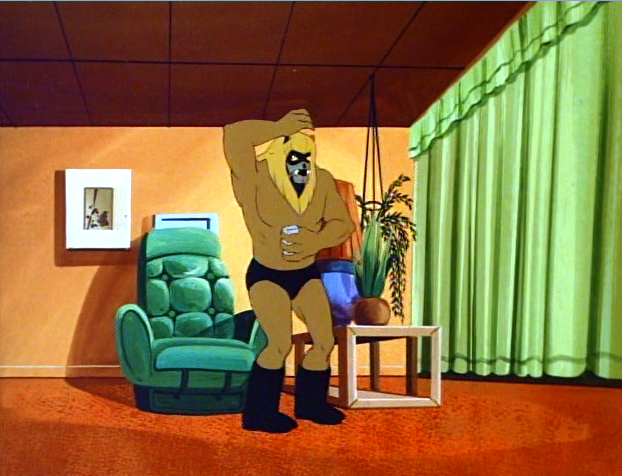 Thundarr is baffled by a door knob-lock, and Oookla is unsettled by a TV program featuring a clown. The best moment involves Thundarr sizing up an escalator and concluding that it is a “trap.” Fortunately, Ariel sets him straight. “No, it’s just an escalator,” she replies. Given such banter, it’s clear that “Portal into Time” is a fish-out-of-water story, and not a bad one at that. In fact, “Portal into Time” boasts a very good sense of humor, and that isn’t exactly typical of the straight-forward fantasy series. I also enjoyed the fact that this episode is set at the Alamo…only 2,000 years in the future. 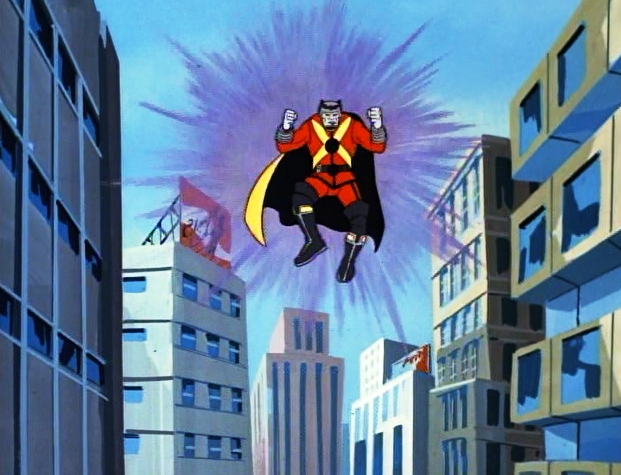 The site is famous for one hopeless battle, but Thundarr keeps it from experiencing the same fate. “We just won the Battle of the Alamo,” Ariel deadpans…and she’s right. Finally, an in-joke: fans of Conan the Barbarian may note that the wizard’s name in this episode is apparently “Crom,” which also happens to be the name of the deity of Robert E. Howard’s Hyborian Age. Good Thundarr episode and once again interesting location of the Alamo. 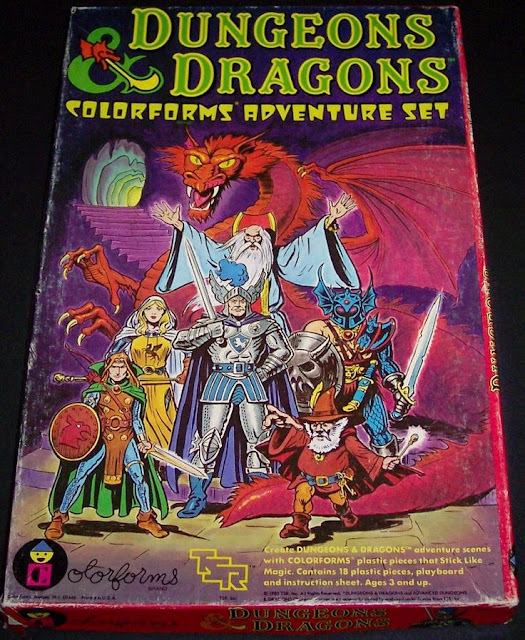 I must say that this series worked because each episode had a real location and not a generic location. ARK II would have been even better if they had the budget to visit real locations and not generic locations, i.e., southern California rural area.